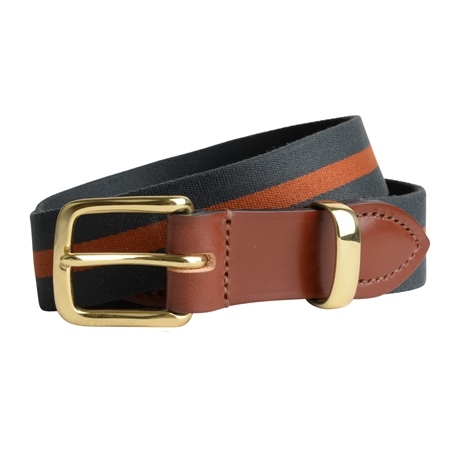 A contemporary navy and orange belt with a brass buckle. Our luxury leather belts are handmade, using the finest quality bridle leather. Made in England.